This Monmouthshire barn is adjacent to a country house, and both buildings are listed. 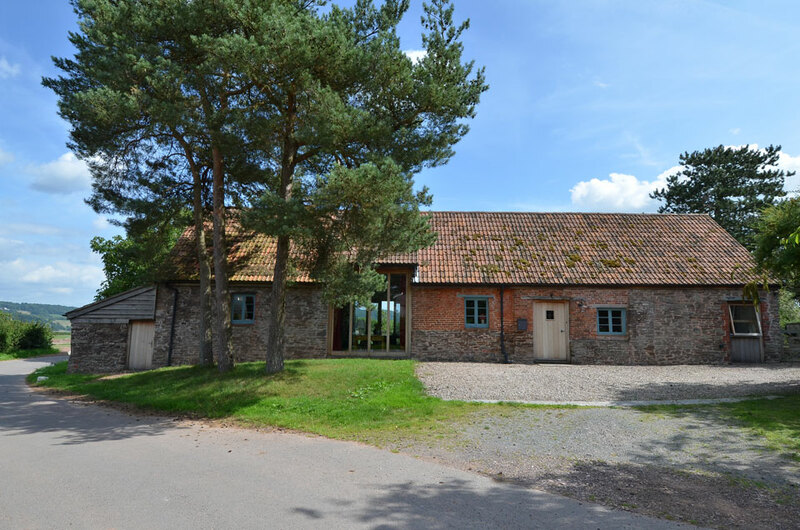 The owners wished convert the structure as sympathetically as possible, and it is laudable they did not seek to maximise accommodation, preferring to respect the original structure by retaining the main barn as a vast living space. This is lit by two large glazed areas, giving access to the garden on the south side, in place of the former doors to the threshing floor. Two bedrooms and two bathrooms have been created at the west end, and a large utility room to the east, using an existing lean-to. A limited number of conservation roof lights, set in the double Roman clay tile roof, give plenty of light to main and ancillary rooms. The purpose-made oak staircase is unusual having three sets of winders ensuring it occupies as little space as possible in the hallway. Photographs of the completed scheme courtesy Rob Robinson.